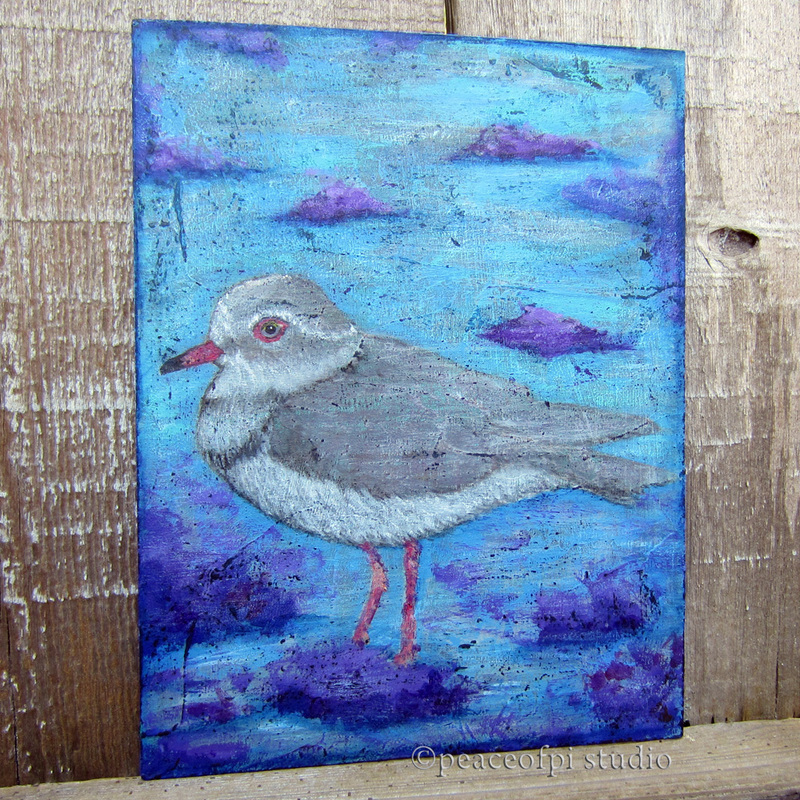 This bird painting is loosely based on the Red-billed gull of New Zealand. It's created in acrylic on wood. Playing around with palette knife and brushes the background of water and rocks came to life. The choice of purple for the rocks was not an obvious one but it seemed to communicate an interesting mood. And the transparent nature of the bird body added a mysterious quality to this imaginary aquatic scene.